March 22, 2017 | 7:00 - 10:00 p.m.
Bid on exciting one-of-a-kind silent auction items. and soft drinks from New Riff, silent auction, and one door prize ticket. and recongition on promotional materials for the event. at 513-703-1123 or email KenGunkel@gmail.com. Click here for driving directions to New Riff Distillery. 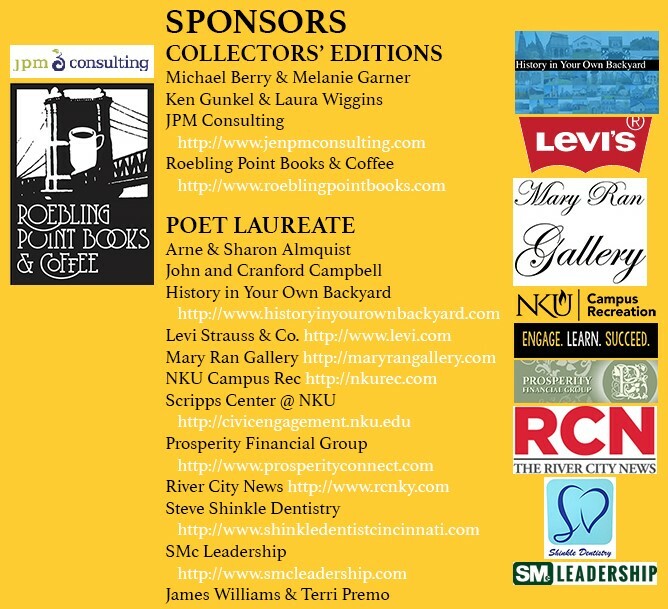 Proceeds to benefit the NKU Library Informatics Scholarships. Friends of Steely Library Spring Fundraiser benefiting Library Informatics Scholarships. Doors open at 6:00 p.m. for VIP pre-event Festivities.